Something needs to be done about the IRS. Yesterday, policymakers from both parties on the House Ways and Means oversight subcommittee took turns lambasting the IRS and the Department of Justice (DOJ). You see, these agencies have both failed to return seized assets that belong to small business owners wrongly accused of breaking IRS "structuring laws." According to the structuring laws, when an individual conducts a cash transaction in excess of $10,000, his or her banking institution must file a currency transaction report with the U.S. Treasury Department. And it is illegal for an individual to break up (a.k.a. "structure" or "smurf") cash deposits into amounts below $10,000 to avoid federal currency reporting. Instituted in 2000, the laws were initially designed to keep drug kingpins, terrorists, and money launderers from evading detection. It all began last summer, when a libertarian policy interest group called Institute for Justice blew the lid off the IRS' cover. The institute issued a Freedom of Information Act (FOIA) request to the IRS on behalf of individuals who had assets forfeited by the agency between 2007 and 2014. The Institute for Justice highlights how the IRS seized more than $68,000 from a Connecticut bakery in 2013. When the FOIA petition was returned to the Institute for Justice, it revealed that the agency had managed to seize $43 million worth of private assets belonging to more than 600 individuals during this span of time. It had amassed this wealth by claiming that certain small business owners all over the country were guilty of structuring their account deposits. However, the IRS offered up no actual proof of such criminal activity. For example, a 2013 IRS raid on a Norwich, Connecticut, family business resulted in a $68,000 seizure from the company's bank account. For three years, the IRS pressured members of the family to plead guilty to criminal charges of "structuring" bank deposits and to agree to surrender the money. So the IRS launched a criminal tax investigation into the family business as a retaliatory measure, requiring that they account for nearly every financial transaction over an eight-year period. That's when the family took the IRS to court. 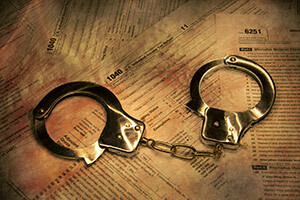 Over the past few years, several similar cases have been brought against the IRS. Last February, an Iraq War veteran told FOX News Insider that the IRS extorted him and left him no money to run his small business in April 2013. He said two IRS agents showed up with a seizure warrant and took $940,313 from the company bank account. They accused him of "structuring" his deposits. When the vet threatened to sue, however, the IRS offered to give back $600,000 if he forfeited $325,000 to the feds. He said no and presented the issue to Congress on Feb. 12, 2015. Under governmental scrutiny, the IRS agreed to change its structuring laws to individuals believed to be involved in other illegal activities as well (aside from suspected "smurfing"). Despite the change, the IRS continued to pursue forfeiture actions against small business owners, who turned around and took the agency to both court and before Congress. IRS Commissioner John Koskinen himself was questioned about what's taking the asset return process so long. Koskinen said the agency has apologized to "anyone innocent" who has had his or her funds seized and admitted the IRS has considered about 75 cases as of right now. However, Koskinen added, those cases only apply to those not taken to court. In cases where the seizure went to court, the DOJ has control. When the subcommittee asked the DOJ for a "ball park" date on when it will review its cases, a representative said he was unable to give one, but that the DOJ is trying to work as quickly as possible. Have you been harassed by the IRS? Tell us on Twitter @moneymorning or like us on Facebook.